A cow sporting a Ceres ear tag. The batteries in the tags are designed to last for the lifetime of the cow. Farming can be a tough game and with the current drought in many parts of Australia adding extra pressure to Australian farmers, it’s never been more important to make farming a bit easier. Imagine you’re a cattle farmer in outback northern Australia, with 20,000 head of cattle to care for scattered over a couple of hundred thousand acres. For some farmers, the only way to can track the location and health of your animals is by helicopter, but trying to spot a sick cow from the air is like finding a needle in a hay stack. Taking inspiration from everyone tracking their steps and other vitals using their smartwatches, we’ve developed a similar tech for cattle, sheep and other livestock to make this job a whole lot easier. We’ve teamed up with agtech startup, Ceres Tag, to develop a ‘fit bit’ for livestock that could help farmers track and care for their animals no matter where the animals – or the farmers – are. The Ceres tag easily fits in the palm of the hand. It’s pictured here with Ceres Tag CEO, David Smith. The ‘fit bit’ is in the form of next-gen smart ear tags that have GPS for locating individual animals via the Internet of Things (IoT). They have on-board accelerometers and the tag can send out alerts for unusual activity patterns or if they cross a boundary. For example if an animal has been stolen, its speed will increase as it’s hooning down the highway. Or if it’s moving slower than usual it could indicate that the animal is giving birth or is sick. Without the ear tag trackers, it could take a farmer longer to attend to the scene. 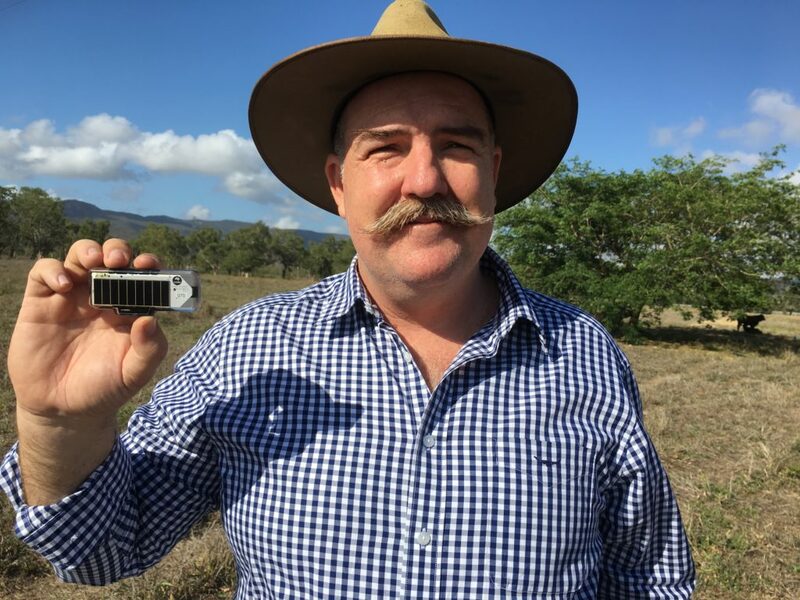 Jim Cross and his family have around 550 cattle on 2000 acres in the foothills of the beautiful Bunya Mountains in Queensland, an hour or so from Kingaroy. “A lot of our farm is rugged country and if an animal is stationary for a few days this technology allows you could go out straight to it. You could save quite a bit in labour, time and fuel sending a team out tracking missing animals down,” Jim says. 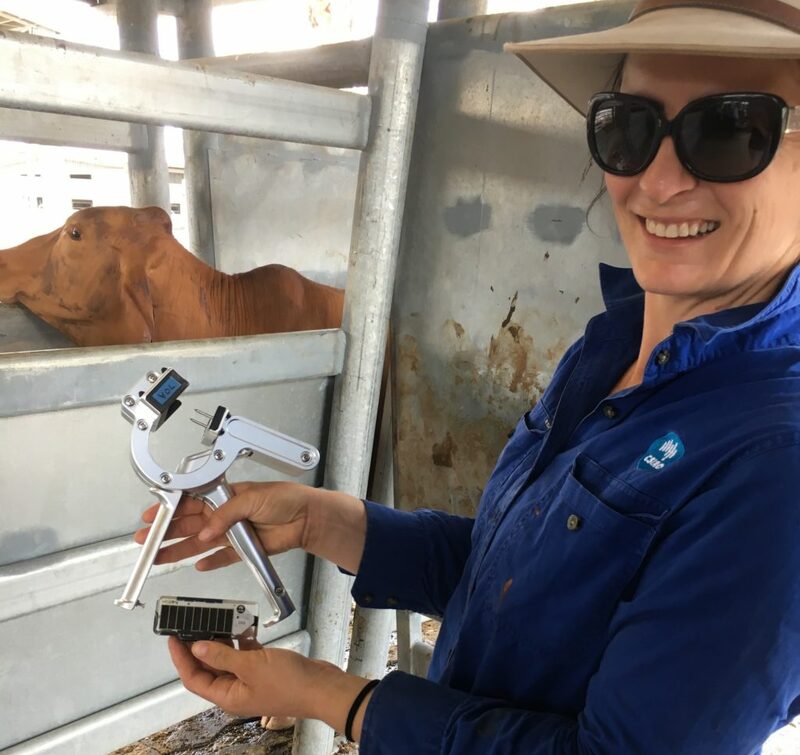 Just last week, the first tags were fitted on 100 cattle at our Lansdown Research Station near Townsville, in Queensland. It can be used on beef and dairy cattle, sheep and pigs in open grazing and feedlot environments. The tags could even be the world’s first smart ear tag accredited for traceability to international standards, including Australia’s national livestock identification system. The Ceres tag is affixed with the applicator and is designed to last the lifetime of the cow. Tags falling off can be a problem in livestock farming so these are especially designed to be retained throughout the life of the animal – not always easy in Australia’s unique and often harsh conditions. The batteries won’t need to be replaced in the animal’s lifetime either. 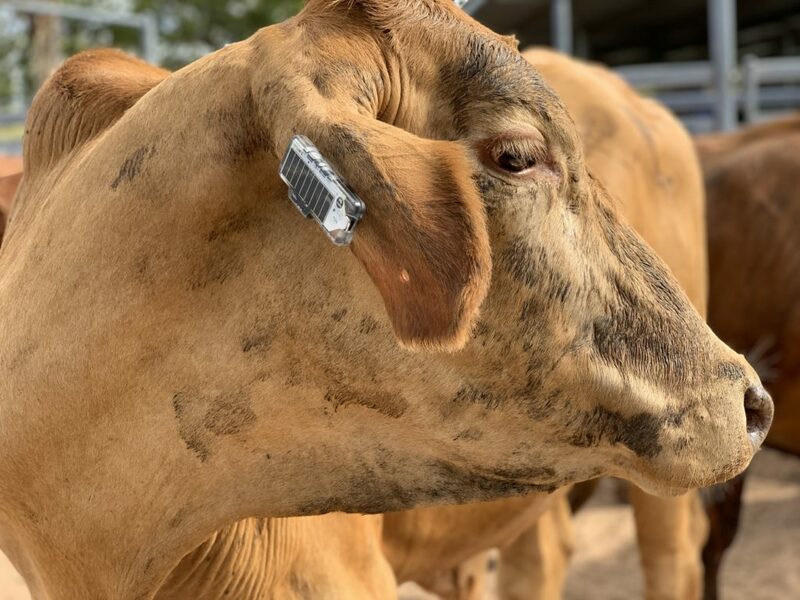 No other ear tags that we know of currently have the resilience in Australian conditions and the communications range that these devices will have. For farmers like the Crosses it will hopefully mean things like greater transparency over grazing management, reduced risk and operating costs, improved efficiency and opportunities through greater traceability. Jim thinks the Ceres Tag smart tags have a lot of potential. The scope for traceability, health monitoring and how it could connect to other management systems without having to buy extra software are just some of the aspects of the Ceres Tag system that he likes. But this is just the beginning as we work on the next versions of the tags that will be smaller and lighter, with added functionality that farmers want – such as a temperature sensor, which could detect illnesses at an earlier stage. “A few things we haven’t even thought of could go into it in the future,” Jim said. What is the range of the device and how is the signal from it received?